There's nothing better than receiving a box full of surprises in the mail. 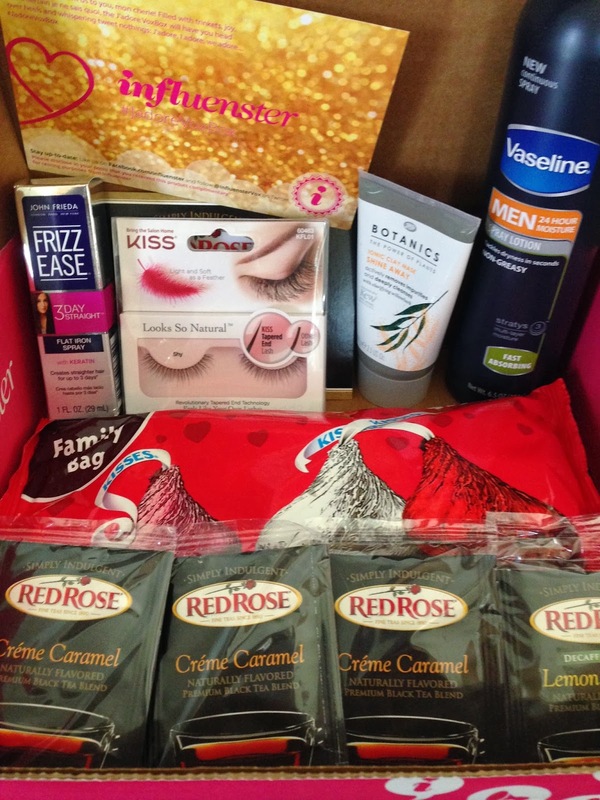 Last week Influenster sent me the JadoreVoxBox for a belated valentine's day present! I was so excited that they picked me. Yes, I received these products complimentary for testing purposes from Influenster which is free to join if you like to give opinions of products and experiences ;) No, you don't have to have a blog to join in on the fun. First things first, of course I had to have a couple of Hershey Kisses (an 18.5 oz bag btw) they sent me while I looked through the rest of my goodies. Frizz Ease 3-Day Straight Flat Iron Spray-It is infused with Keratin spray so it will help to protect my hair from the flat iron. This spray has a good smell which is always important in choosing hair products right? Boots Botanics Shine Away Ionic Clay Mask I love a clay mask and was excited to try this one out. It's unscented which I liked and it left my skin feeling softer and smoother. It felt good to draw out my impurities with this. Red Rose Simply Indulgent Teas I'm not much of a tea drinker these days unless it's kombucha. I'll leave these for my daughter to sample! 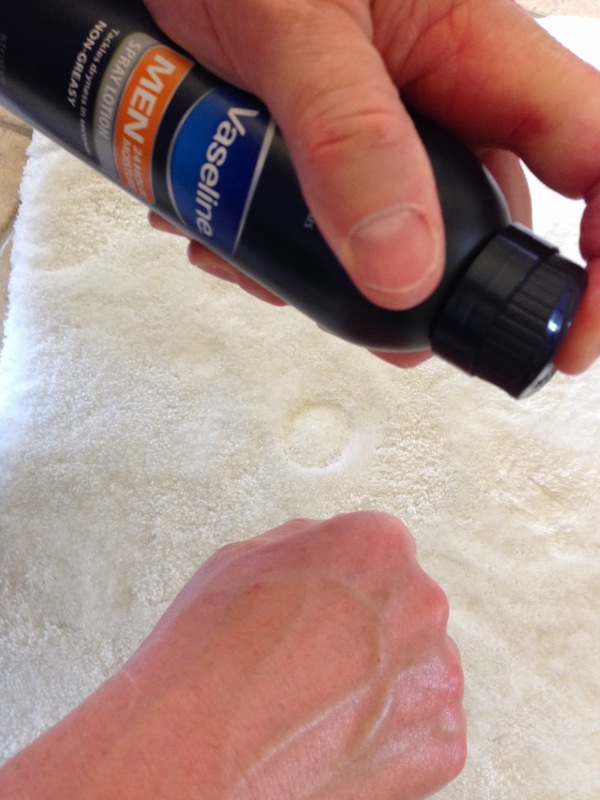 It was nice of them to include the Vaseline Men Spray Lotion for the hubbs! He actually loved how fast it absorbed and that it didn't leave him sticky or greasy. I don't love the parabens in it. 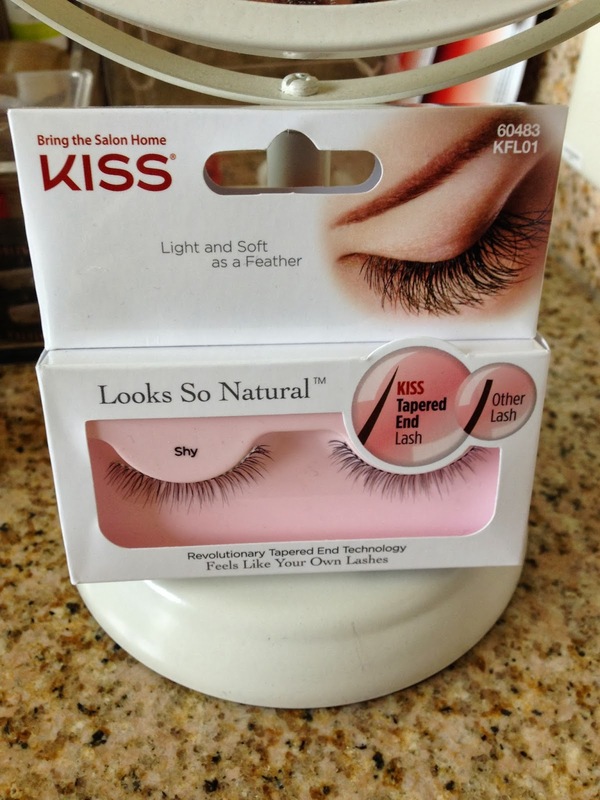 KISS Looks So Natural Lashes These lashes look really natural and sure wish I had somewhere to wear them! I've worn fake lashes once for an event I was going to but didn't put them on myself. Not sure I have the patience for it! Although if you're fancy you might want to try these out for yourself.